XtremePC distributes and provides end-to-end solutions primarily too small to medium business (SMB) resellers and retail partners regardless of size that support the technology needs of end users including businesses, educational institutions, government agencies, and consumer markets. We sell and and repair laptops and computers at very competitive prices. We can also design your website for you, and help you get it online. XtremePC has a product range that is continuously developing, being refined to match our client’s needs, constantly expanding and includes the latest technologies. PC Components: XtremePC distributes the complete set of building blocks required to develop a full system including chassis, motherboards, memory, hard drives, video graphics, processors and optical storage solutions. Digital Lifestyle and Consumer Electronics: XtremePC’s well stocked portfolio includes the full spectrum of multimedia centres, digital photo frames, digital audio players, LED TVs, projectors, DVD players as well as digital cameras and High Definition camcorders. Gaming: For the avid gamer, XtremePC stocks high-end graphics cards, overclock able gaming memory and top of the range cooling systems and also Sony PlayStations, Nintendo Wii and Gaming PCs. Services we offer to you at Cellu Vibe Phuthaditjhaba computer repair services, computer repairing, computer repairs, computer repairs & upgrades, computer services, it services, it solutions, pc repair services, pc repairs. Cellu Vibez Technologies, Installation of Basic Software’s, Virus Removal & Windows Installation, Data Backup & Data Recovery Service, Email Setup and Email Repair, ADSL Connection Setup and Repair, Wireless Network Setup and Repair, Computer Upgrades. If you are looking for the most cutting edge, up-to-the-minute technology and expertise, Matrix should be the first online electronics store in South Africa that you visit. Our user friendly online electronics store allows you to buy a computer online, or just about any other computer components you can think of, with ease. Aside from being an online computer shop, Matrix also has numerous physical computer stores in South Africa where our friendly tech obsessed staff can help you make the most of your purchases as well as helping with upgrades or repairs. Matrix constantly strives to be the leader in the IT field by always keeping ahead of the competition, staying abreast with the latest technological developments and providing excellent service. Services we offe to you at Matrix Warehouse Computers computer accessories, computer cable suppliers, computer cabling, computer cartridge, computer cleaning, computer equipment, computer hardware, computer maintenance, computer networking, computer parts, computer products, computer repair services, computer repairing, computer repairs, computer sales, computer software, computer stores, computers, electronic equipment, electronic hardware, electronic products, electronic repairs. We are the best and most reliable IT service company in the Vaal community and beyond, through quality, competitvely priced computer equipment, excellent service and a fast reaction time on call-outs. Services we offer to you computer accessories, computer hardware, computer repairs, computer sales, computer services, computer software, it solutions, network support, pc repair services. Services we offer to you at Highlands Computers Heilbron computer equipment support & maintenance, computer maintenance, computer services, computer services and solutions, computer upgrades, it services, it solutions, pc maintenance, pc services, repairs. 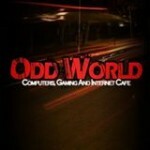 We at Odd World General Dealer Cc have the following services for you Computer & Console Games, Software, Hardware & Accessories. We also do Computer Upgrades, Repairs & Servicing. We Also Create and Host websites. Odd World General Dealer Cc are a Computers, Gaming And Internet Cafe’. We do Copiers, IT and networking, internet services, telecommunication, web designing and business opportunities. Recovery Vault is an end-to-end hosted backup and recovery solution. Back up servers, desktops, laptops and applications residing on the LAN as well as in the field. Constantly striving to meet or exceed our customer needs and expectations of price, service, and selection. Providing high quality products that combine performance with value pricing, while establishing a successful relationship with our customers and our suppliers. Stay ahead of the competition by innovating new products and services based on the needs of our customers and market demand. Promoting and nurturing service excellence. Building and maintaining a customer-oriented culture. Ubuntu Technologies is an independent black economic empowerment company with 14 years experience within the ICT industry in South Africa. Ubuntu Technologies has an excellent record with multiple successful contract awards and management in various sectors of Government, State Owned Enterprises and the Corporate sector. We embrace diversity within our organisation and celebrate the cultural differences of our employees. We, as a group of individuals, value the practice of our business which is lead by integrity, honesty, personal excellence and a high regard for customer satisfaction. We are committed to our customers and partners and aim to deliver only the best of solutions and services. We are a value added retail store aimed at a higher-end retail market in both computer hardware and software. The Shocut team has a regular retail store with a full workshop which offers a complete value added services both in store and on-site. The services we provide: Onsite Support, Workshop Support, Repairs to laptops / Computers / Monitors, Installations of networks and computers, Installation of CCTV cameras, Photo designs / Video editing. At Blue Teeth IT Solutions We are an Information Technology Services company that specializes in providing professional IT services and resources at competitive rates. With our highly skilled resources we deliver cost-effective, reliable, secure, and adaptive IT solutions that suit customers’ needs. We are a Computer and Internet Service Provider. Anything from PC Repairs to CPUs and Servers. We provide ADSL, Broadband and Uncapped. We also do Websites. Website Design and Maintenance, and Hosting. Welcome to Compuwizz Computers and Accessories, PC Repairs, Playstations and Games. We are proud to Announce that we now have a online shop where you can find out everything you can think of in computers spares and accessories. We guarantee that you will have a graet time shopping with us and also we guarantee our excellent customer services to all our clients.